Podcasting has been around for a while now. But many would-be listeners are still unfamiliar with podcasts. Maybe you too have been reading our show notes but never listened to the show! Let’s change that right now. 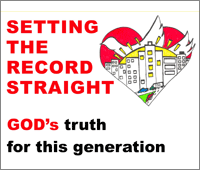 Here are some easy ways that you can become a regular listener of our podcast “Setting the Record Straight: God’s truth for this generation”. You can stream live from our website. Click on the “Podcast” tab on top, then select “Listen to our Podcasts“. Directly underneath the podcast episode title you’ll see a media player. Click on the arrow and the podcast will start to play. You can scroll through all of our podcasts to select topics that you’re interested in. You can listen to us on iTunes. On your iPhone, make sure you have the Apple podcast app installed. If you don’t have it, download it from the iTunes Store. 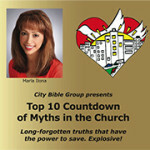 Once it’s installed, search for “Setting the Record Straight: God’s truth for this generation“. You can choose to subscribe and the feed will be displayed. The feed will be automatically updated with new episodes. Download any free podcasting app from the Google Play Store. 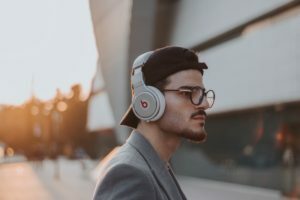 There are many: Castbox, Podcast Addict, Podcast Player… ( I don’t recommend BeyondPod: they have a software bug that causes the player to randomly jump from one episode to another). 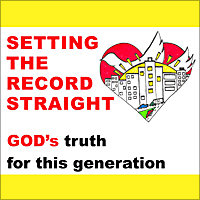 Once the app is installed, search for “Setting the Record Straight: God’s truth for this generation” and subscribe. The feed will be displayed and automatically updated with new episodes. You can also listen to us on podcast-friendly internet radio stations such as iHeart Radio, Stitcher Radio and SoundCloud. And finally, if all of the above seem too complicated, you can listen to our podcasts on our YouTube Channel. You can search for it by typing in citybiblegroup – with no spaces in between words. Try it out! With so many easy options, there’s no more excuse not to listen to the Word of God anytime, anywhere. No matter what you’re doing, you can be listening to powerful Bible teachings that will: 1) keep your mind focused on heavenly things and 2) help you prepare for the Second Coming of Jesus.